Reverse DNS is another way of fighting spam. It allows other servers to check the authenticity of your server. 2. Make a note of your IP address. If there are multiple IP addresses listed, then the first one is the one you need. Go to http://mxtoolbox.com/ReverseLookup.aspx and enter your IP address after selecting the Reverse Lookup option. The results beneath will tell you whether you have a reverse DNS entry. If you do have a reverse entry, use the name of the reverse entry to update the SmartDiscover tab as show in the example below. You will also need to create a DNS record for mail.domain.com pointing to this IP address. If you do not have a reverse entry, you will need to contact your service provider to have one set up. Note: Icewarp can be configured to check other servers for rDNS records. 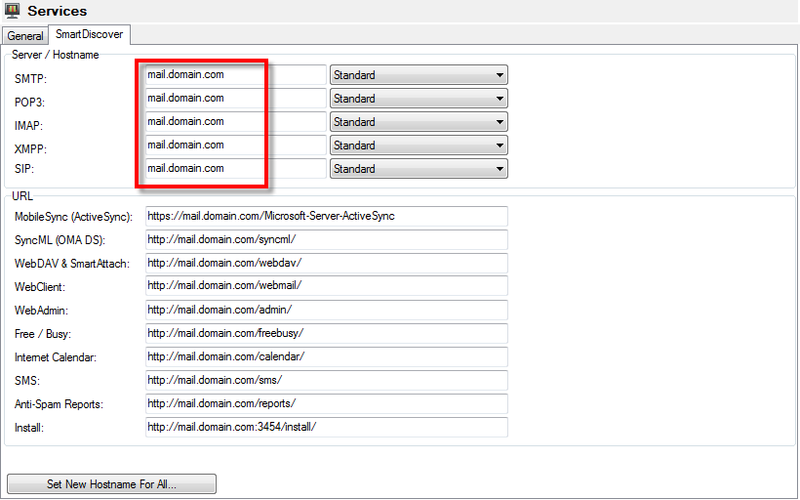 See Mail > Security > DNS tab in the administrator console. How do I find out if I have a reverse DNS entry?